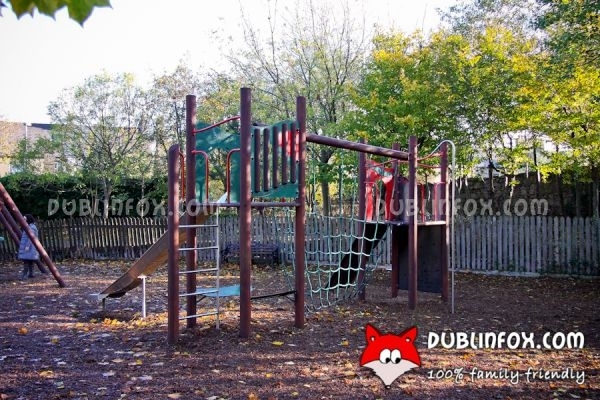 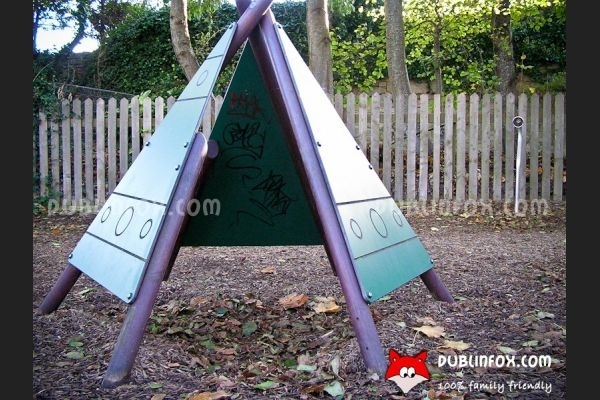 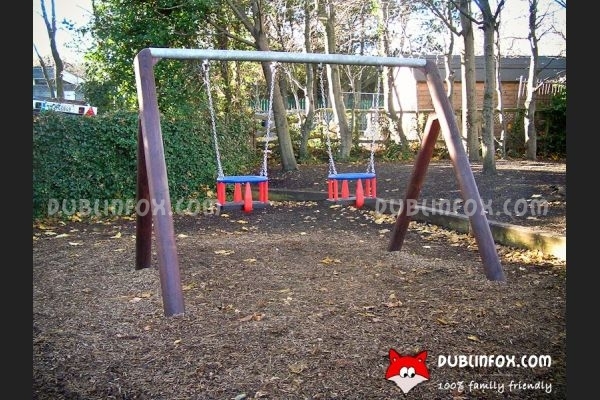 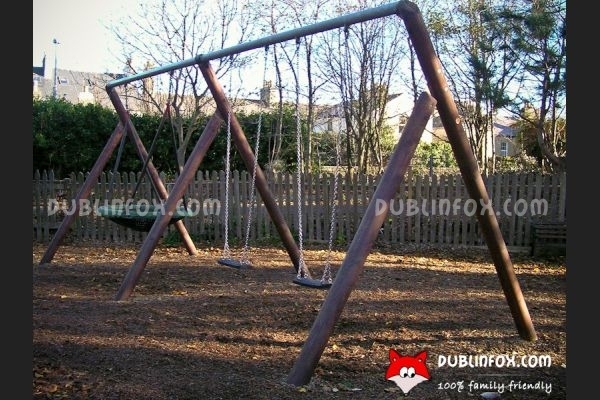 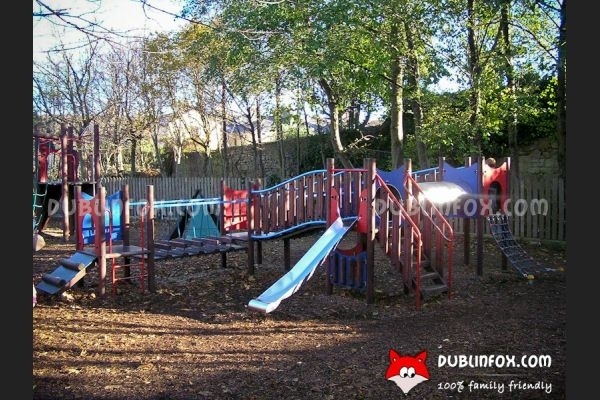 The playground in People's Park is middle-sized and unfortunately quite shaded, so most of the time it is a bit muddy. 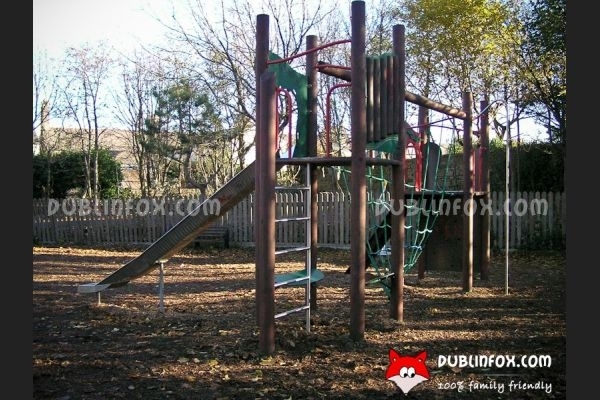 It is well-equipped: there are two multi play units, four swings (two of them are baby swings), a basket swing, a play panel, a pair of talking tubes, a spinner and a wooden play tent. 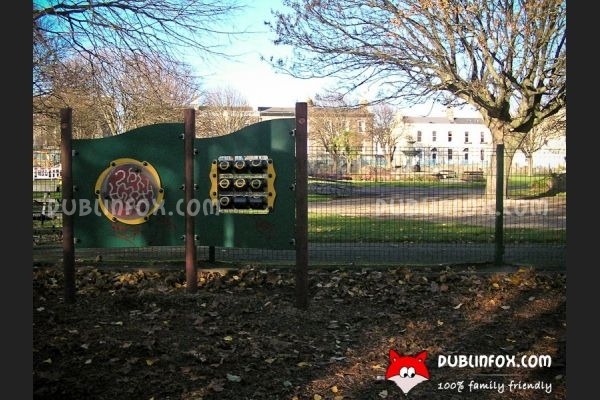 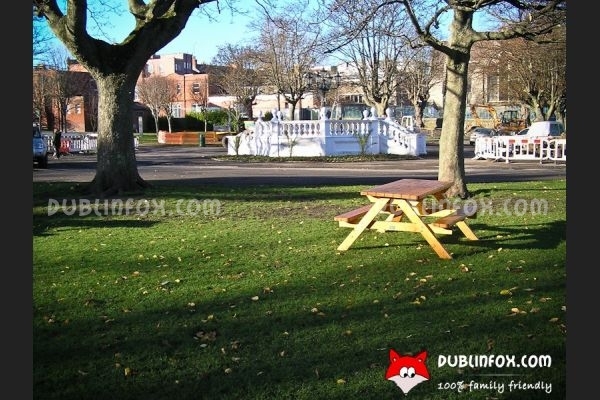 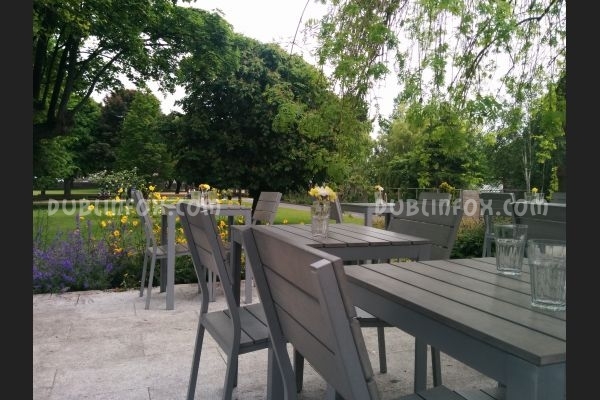 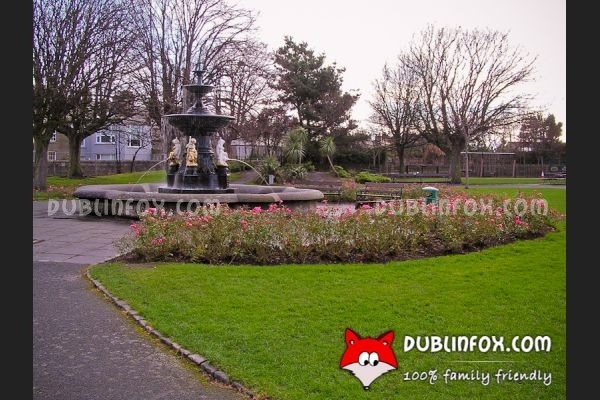 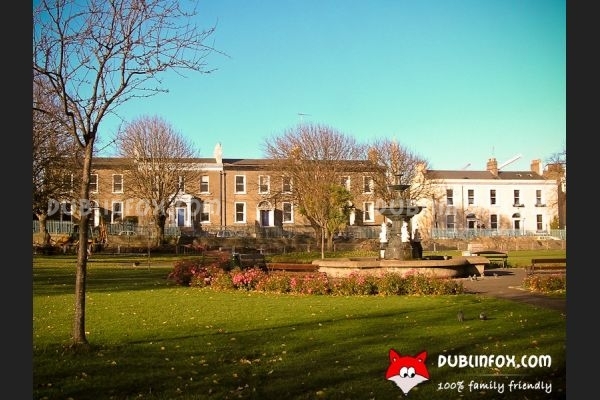 People's Park is a lovely urban park in Dun Laoghaire, not far from the centre, so it is a great place to take a walk, picnic or watch the fountains on a sunny day. 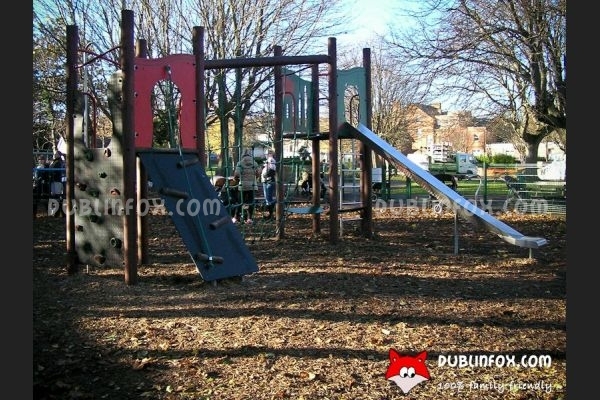 Click here to open Peoples Park's website in a new window.